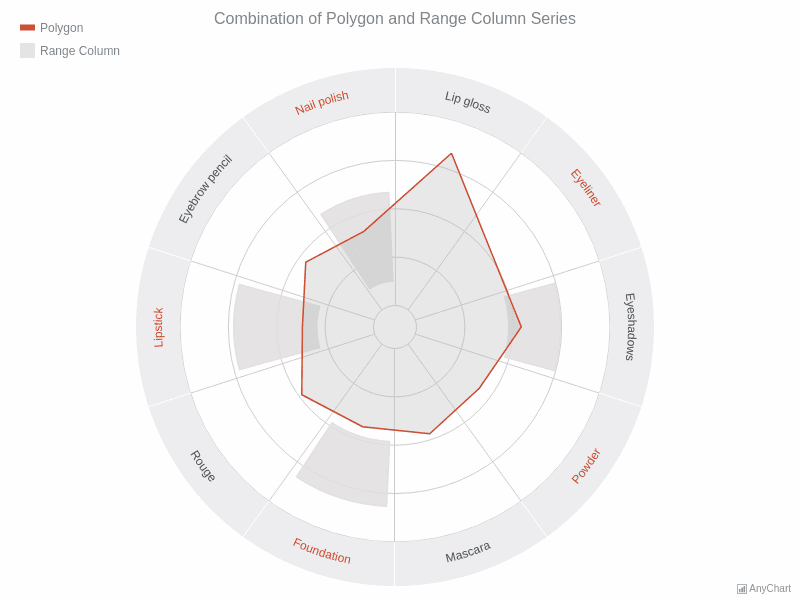 Combination of Polygon and Range Column ChartsPolar Polygon and Range Column chart combination example. 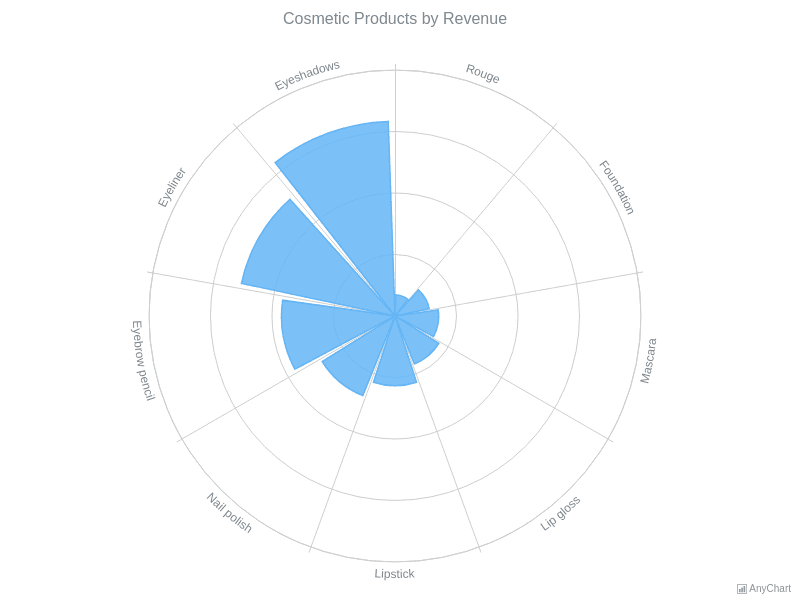 The visualization features a custom function for even/odd based coloring of the X axis labels. 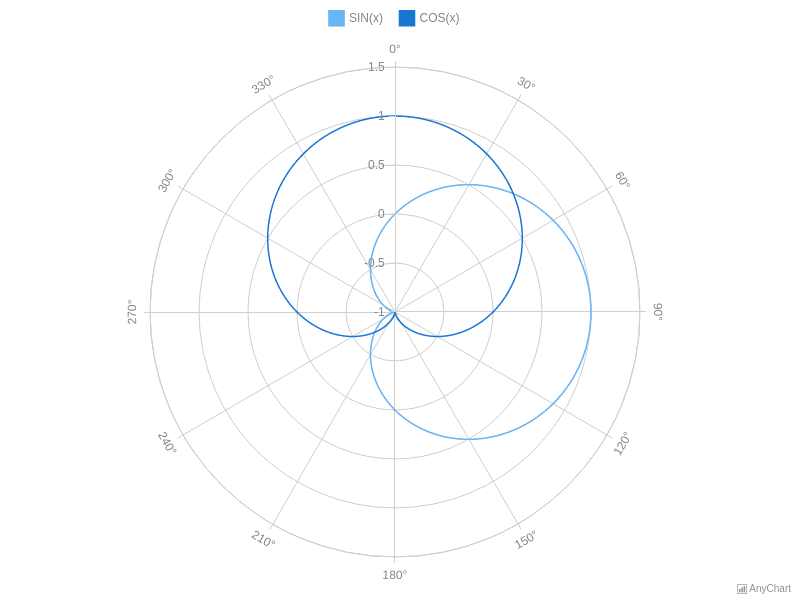 Line Polar ChartThe chart visualise popular mathematical functions sin(x) and cos(x), drawn on a polar graph. 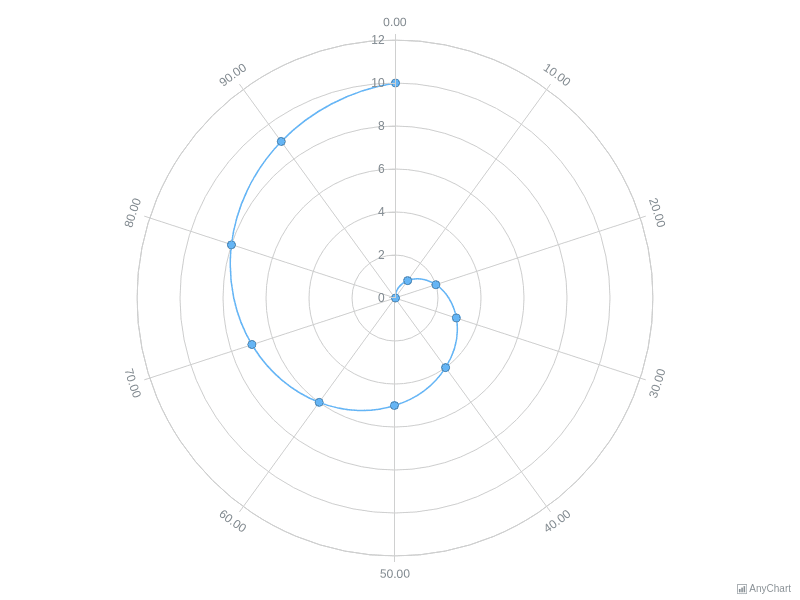 The radial axis holds the values from 0 to 360 degrees with an interval of 30 degrees. Series are controlled by charts legend. 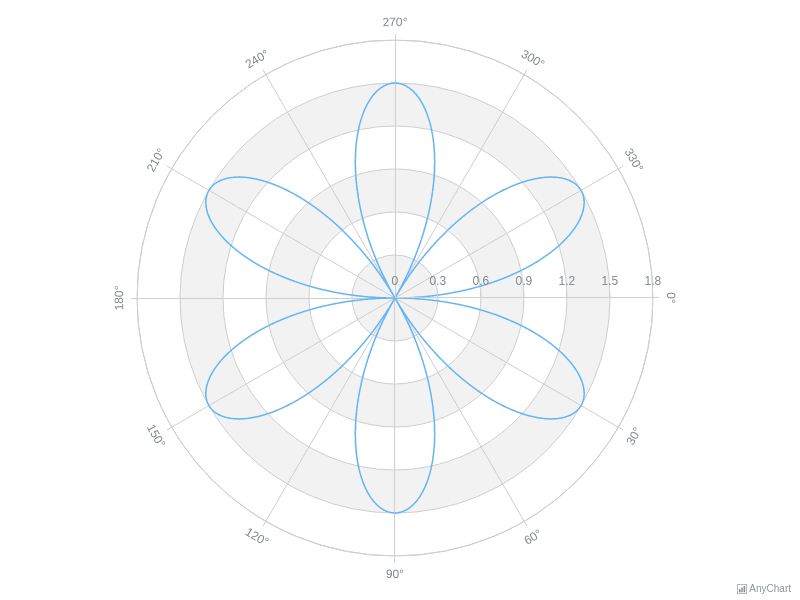 Marker Polar ChartThis polar chart contains several marker series. Each series represent signals of three different types. The series can be shown or hidden by clicking on the chart's legend. Every series has its own marker's type and color. 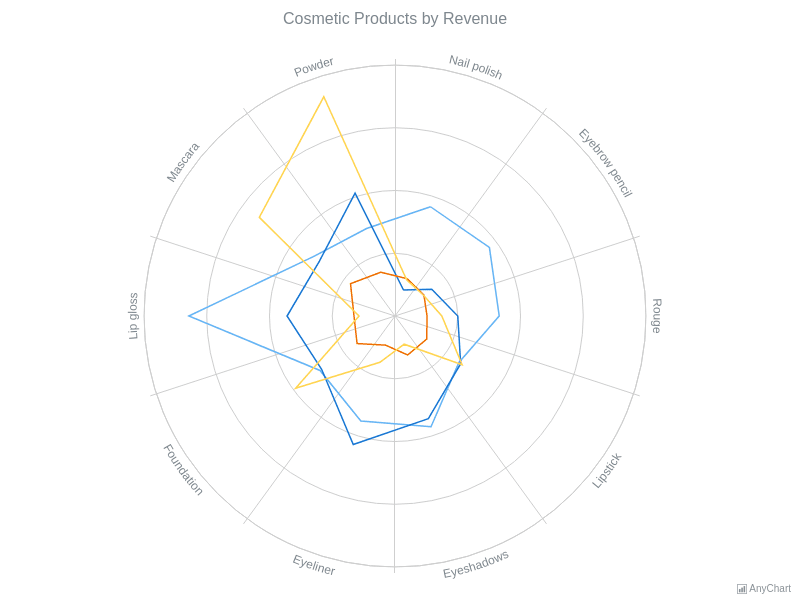 Polar Chart with Unclosed Line ContourThis chart is an example of single series chart a spline series. For single series charts there is no need in chart's legend that is why this char has none. 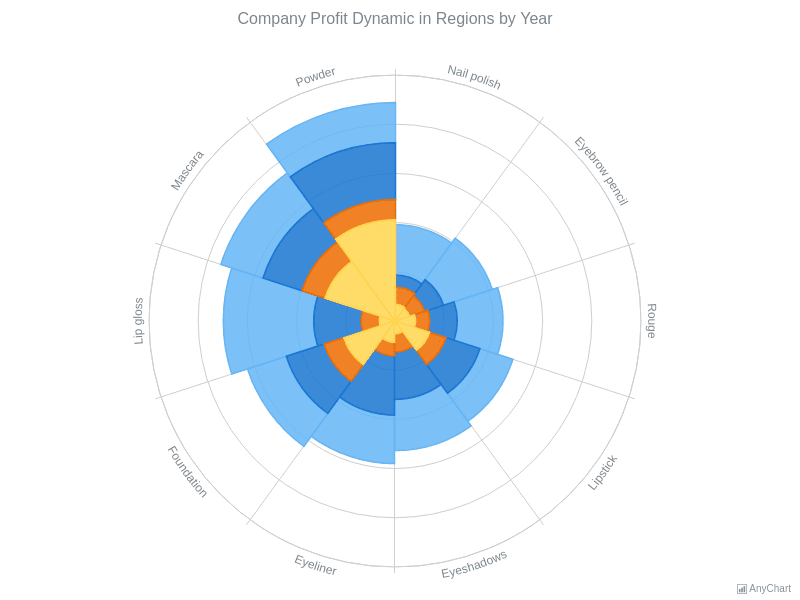 Labels of the radial axis are adjusted to show the fraction and be more exact. 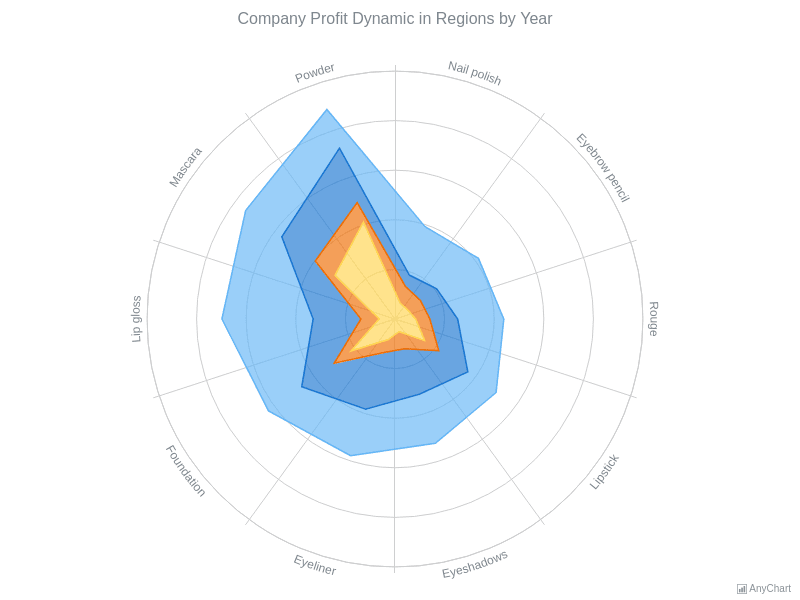 Single Series Polar ChartThis chart is an example of single series chart a spline series. 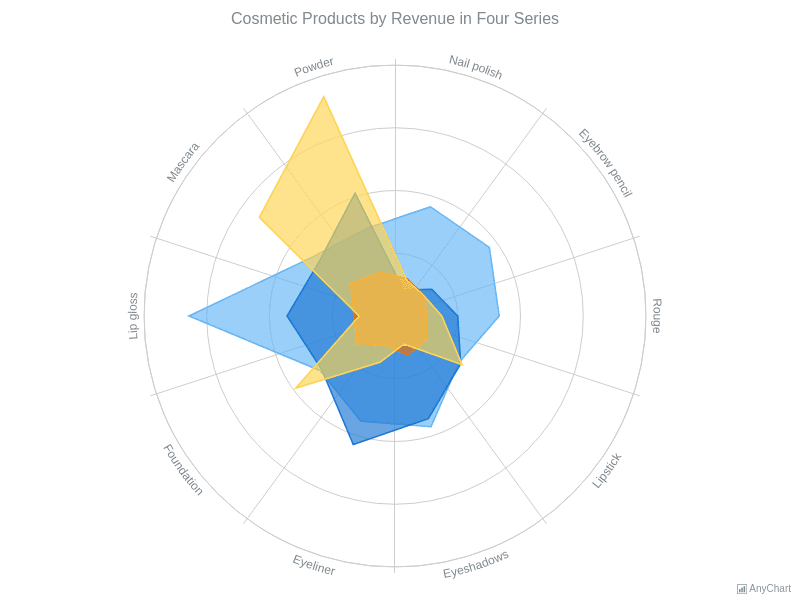 The series has quite a few data points. Chart's legend is hidden. 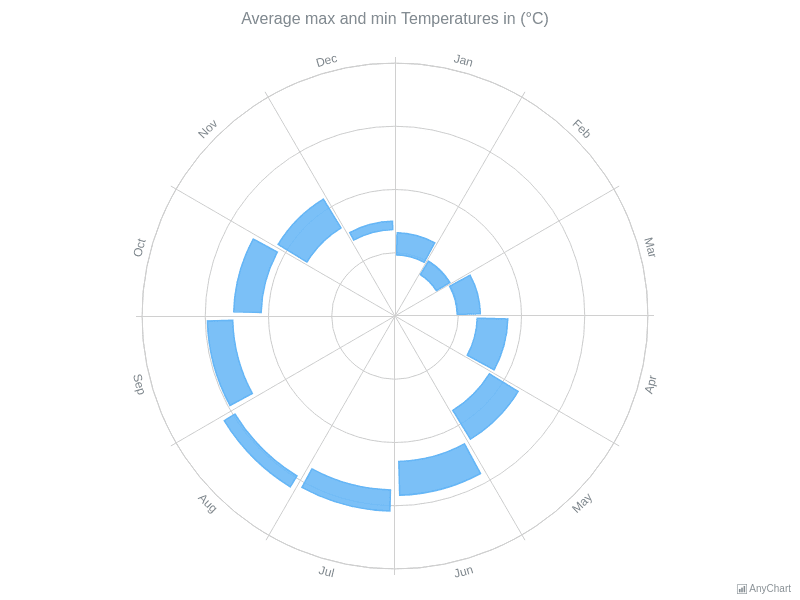 Labels of the radial axis are adjusted to show degrees symbol for each label. 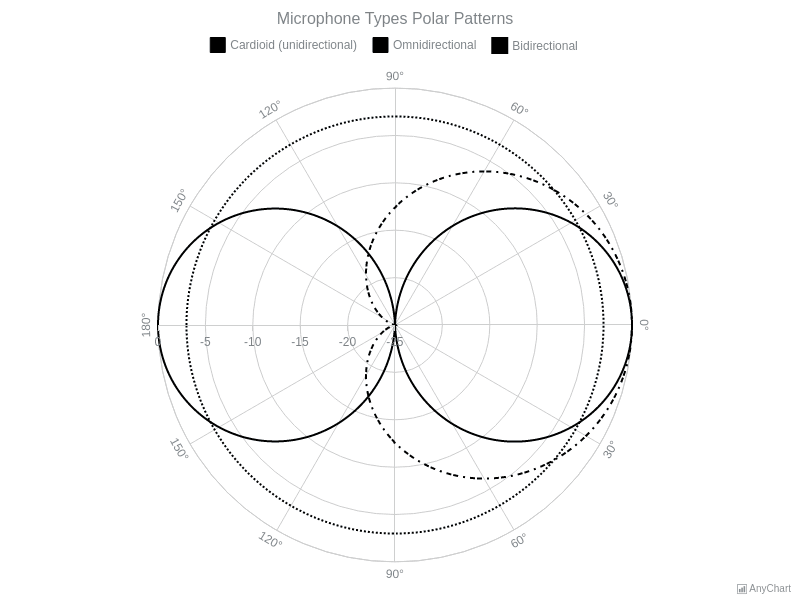 Spline Polar ChartA polar chart with three series decorated differently demonstrate different microphone types patterns: cardioid, bidirectional amd omnidirectional. 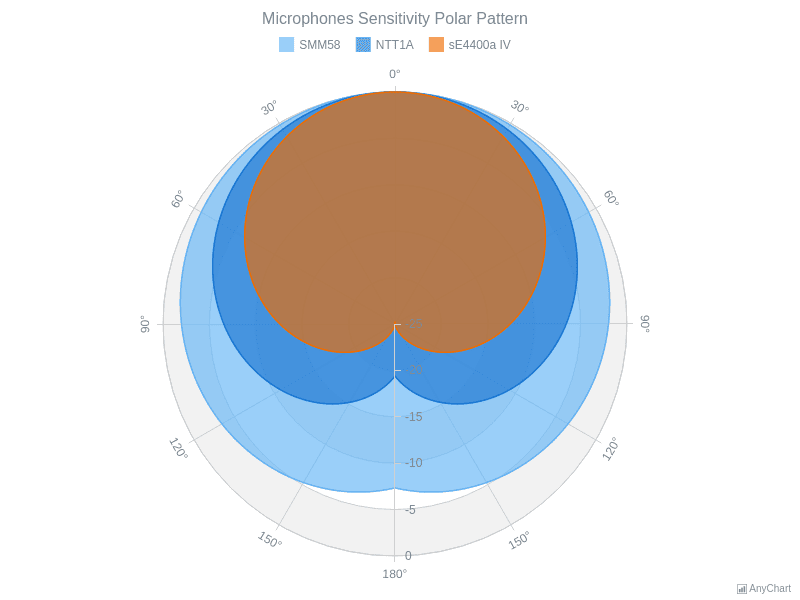 Stacked Area Polar ChartThis polar chart uses three area series to demonstrate the sensitivity levels of three different microphones of different labels. 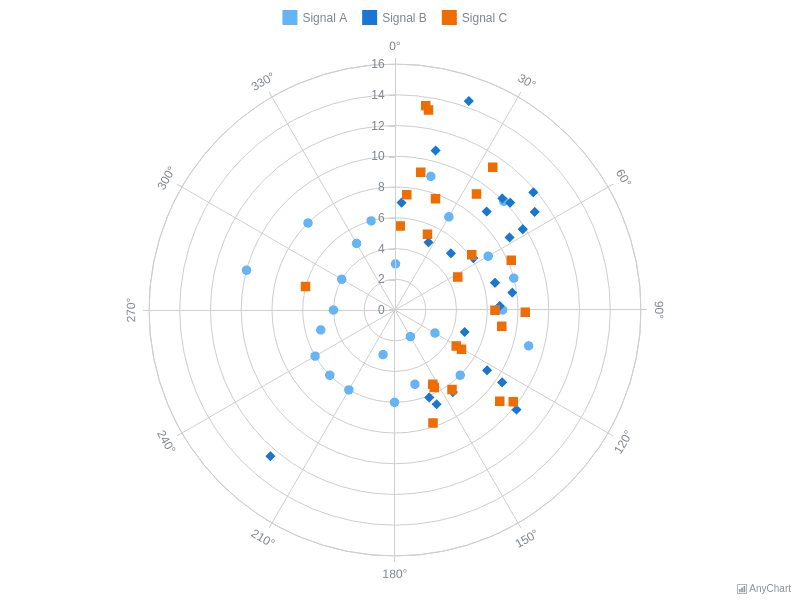 The sensitivity area is represented by the area series.